Plot : + Sponsored by: Feenamint, Chooz. A tribute to the D.A.R. The first question is, "How do pronounce these two words: fiance, fiancee." 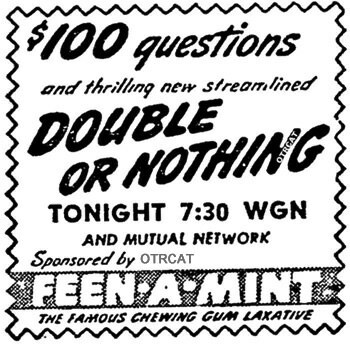 Be the first to comment on "double or nothing (x) first guest pat rooney"